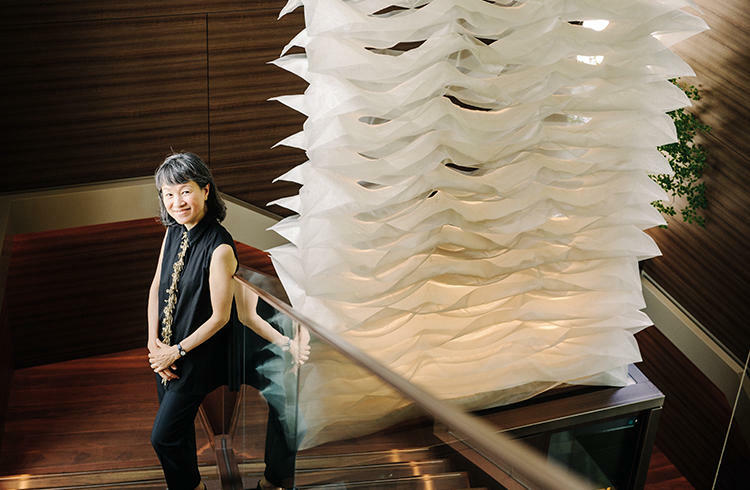 Reiko Sudo is a world-renowned textile designer known for her stunning works that adorn the Mandarin Oriental Tokyo. Her works are in permanent collections at 22 museums around the world including the Museum of Modern Art in New York. 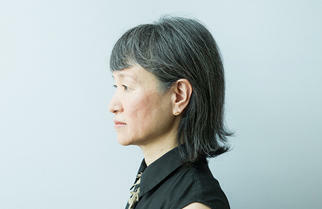 Sudo told us that she has been visiting Roppongi for the last 40 years, and impressed us by her knowledge of the place. 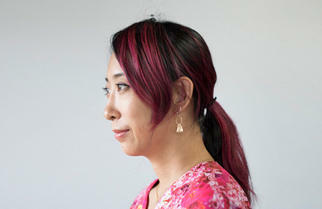 During the interview, we ventured to ask her if she thinks if there is a way to turn Roppongi into an area for textiles. Please read on to find out what she had to say. I began coming to Roppongi in the '70s when I was still a student, so I've known this place for a very long time. I've watched the transformation of Roppongi from up close, and there are times when I feel a little sad about the shops that have gone. I sometimes think "Oh that place isn't there anymore" and sigh. There used to be a lovely select shop at Roi Building which sold handmade clothes and imported items. When my mother in the countryside came to Tokyo, I would often take her there. Perhaps you might find it difficult to imagine now, but the Roi building used to be a wonderful building for fashion-related stores. In the 80s, the WAVE building was built and I thought that the world music introduced by the record store there was terrific. I would sometimes watch a difficult movie at Cine Vivant in the basement and the satisfaction of having done something cultural would linger in me afterwards. A commercial complex located on Gaien Higashi Dori street, a short walk from the Roppongi intersection. Completed in 1970, it is one of the landmark buildings of Roppongi, housing many restaurants and bars. As for textile-related shops, there's the towel store Hotman which opened in 1972. It sells towels made in Tokyo's Ome district. It's marvelous how this store has been embraced by Roppongi and is still doing business. There's a lot of interest now in Imabari towels, but back then, there was no other company making such quality towels. So I would get my towels from Hotman or purchase American made towels or go all the way to Pare France in Harajuku to shop at Japan's first Marimekko store. For me, Roppongi has also always been the place for work. In 1984, we set up NUNO here, and the company I worked at for about seven years before that, was also in Roppongi. While Roppongi Hills and Tokyo Midtown have become the symbols of Roppongi, the establishments I visit are those that have been here long before. For example, I still go to the yakitori restaurant Nanbantei or to the izakaya Ichioku which is famous for its tofu steaks. Ichioku is like a hut and has remained unchanged since the '80s. Usually, establishments are renovated and become sleeker, but that is not the case with Ichioku. (laughs) But it's so clean and carefully maintained. I think everyone would find Ichioku and its neighborhood interesting. For special occasions, I buy sushi at Otsuna Sushi and "uguisu mochi" sweets at Aono. Roppongi also has many live music bars such as Roppongi Pit Inn, Roppongi Kento's, Birdland and STB139 Sweet Basil. After going to a live music bar, I would often eat hamburgers at The Hamburger Inn - I loved that restaurant. Many establishments have closed down, but there are still theaters, movie theaters and live music bars that have been here since the '80s and I think they give Roppongi its unique atmosphere. I travel all over the world for exhibitions and talk events. I accept so many offers that people call me "the Reiko Sudo who doesn't say no". (laughs) Of all the cities I've been to, my favorite is Kyoto. The people there lead such orderly lives. Every time I visit Kyoto, I get the sense that there is something consistent in the way the residents live. It's an attitude that I think the rest of the Japanese would do well to emulate. Kenya Hara-san once said that if there is just one piece of litter in a bicycle basket, the basket will eventually be filled with litter. I think that's an interesting observation. But Kyoto is a place where litter doesn't seems to pile up. It's not only the streets that are clean, the weaving shops are also spotless. Weaving shops generally tend to be cluttered, but the shops in Kyoto are immaculate. Weaving shops which are located far from the center of Kyoto such as Kyoto Tango, are also very clean. I'm surprised that you are asking me what can be done to turn Roppongi into a place for textiles. Frankly, my response is, do we want to do that? I mean, in a typical textile town, you will hear loom sounds. If you go to textile towns in Japan such as Kyoto, Kiryu and Imabari, you will hear the sounds of the moving looms. Whether the textiles are being woven by hand in the traditional way or being mass-produced in factories, the sounds of the looms fill the town. In the busy textile towns, the factories are open 24 hours a day and in the middle of the night, you can hear the "shee, shee" sounds of yarn being woven in the dimly lit factories. In a regional city dotted by a few street lamps, everything is still except for the looms which keep quietly moving. Hearing the loom sounds is like listening to the insects and sensing the season. For people who work in the textile industry, arriving in a textile town and hearing those sounds is so welcoming and reassuring. In contrast, I get very anxious when I go to a textile town and don't hear the loom sounds. I think, what on earth has happened? When the looms are not moving, I wonder if business has closed; it's as if life has come to an end. Looms are living things. They can be stopped for a day or two, but if they are stopped for a week or 10 days, you can no longer use them to weave cloth. So it's important that they are kept moving. And for the factories to keep moving, we need a market, and we need distribution and retail. All of that is necessary for the Japanese people to keep making textiles in Japan. Well, that is true of any genre, isn't it? I've wandered off a bit, but it's absolutely impossible to imagine Roppongi becoming a place for textile production in the future. It might be possible for Roppongi to become a mecca for textiles though. Hotman, which I mentioned earlier, could become the core store. Perhaps one way to turn Roppongi into a textile mecca is to set up koinobori (carp-shaped streamers) all over the streets. How is that for an idea? A towel maker founded in 1868 which has been making the Hotman brand of towels in Ome, Tokyo for more than half a century. Known for their high quality, the towels are made from densely woven thin yarn and are dyed using the river-bed waters of the Chichibu mountains. Hotman's first directly owned store was opened in Roppongi in 1972. In 2008, we were invited by the Kennedy Center in Washington to participate in the "Japan! Culture + Hyperculture" festival which was an event to introduce Japanese culture and art. 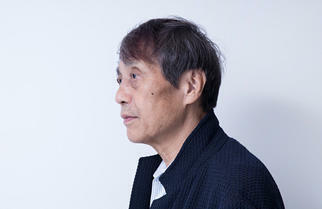 Tadao Ando-san, Yayoi Kusama and NUNO were given three large galleries to display installments throughout the festival. An exhibition introducing Japanese culture and art which was held February 2008 at Washington's Kennedy Center. The photograph is of an installation called "Koi Current" shown at the event. The expanded form of this installation, including 20 newly made works, was displayed from May to August 2014 at the Guimet Museum of Asian Art in Paris. I think it would be a good idea to ask everyone in Roppongi to set up koinobori in May. Each shop or restaurant would make one koinobori using cloth they already have or fabric that is symbolic of their establishment. Curtains could be used as they are, or maybe cloth could be woven or dyed or decorated with drawings. The sizes could be small or big, and the colors could be anything from plain black to plain white - we don't need to be fussy about the details. I think this would be a very interesting project particularly as there are many foreigners in Roppongi. There will be koinobori floating everywhere, and perhaps confectionary stores will be making koinobori-shaped sweets. And maybe we could also hold koinobori-themed workshops for children to participate in. Tokyo Midtown has an atrium stairwell where the breeze passes through and I'm sure that if we put koinobori there, it would be a really refreshing sight. Fireworks have the effect of making the viewer happy, don't they? The Tokyo Millenario illumination event that used to be held in Marunouchi was also a thrilling event. I think the sight of lots of koinobori fluttering in the breeze will cheer people up in a similar way. I'm very interested at the moment in Japanese stripes. I've read books such as "Shima no misteri (Mystery of Stripes)" by product designer Akiko Takehara-san, a person whom I adore, and I've learnt that the stripe pattern came into Japan in the Edo period with the import of cotton. In Europe and America, stripes have a slightly negative image, being used for prisoners' clothing but it's different in Japan. We even have things like shimacho (sample book of various striped fabrics). There is no other country which has such a huge reservoir of stripes. My interest in stripes has led me to study the cloths woven in Japan in the old days -the cloths originally made here. There are many researchers on precious textiles such as those used to make clothes for the nobility. But little attention has been given to the rags and cloths used by commoners; this is an area which is so familiar that it has been overlooked. Japan originally was a country of silk and linen. It sounds cool when put like that, doesn't it? These days I'm often pondering about what kind of fabrics are most suited to the Japanese climate, what kind of materials are most suited to the skin of the Japanese people. A book of essays revolving around the history, design and industrial background of the simple stripe pattern. The author Akiko Takehara - a former industrial designer at companies such as camera maker Canon - writes about the discoveries made in her journeys in Asia, Europe, Africa and the Islamic countries. After the Great East Japan Earthquake in 2011, I started walking around the textile manufacturing regions in Japan and became deeply involved in projects for making Japanese things. As textile design adviser for MUJI, I'm now engaged in the "Found MUJI" project for Japanese cloth products, and am designing Otsuchi Sashiko products. I never imagined that I would be doing these activities. I'm getting to meet people I wouldn't have met before such as the artisans who weave cloth by hand. I'm very glad about the increased opportunity to visit the kimono-making regions. On a slightly bigger scale, I've been involved in the recycle system called ECOCIRCLE which was set up at Teijin in 2003. Now all synthetic fibers derived from petroleum can be recycled. It's a marvelous system that completely recycles any fabric that is 100% polyester or 100% nylon. In the '80s and '90s, I created a considerable amount of new textiles called "hybrid textiles" made from blending chemical and synthetic fibers. These textiles had a very different look and people were saying, "This is high-tech stuff that can only be made in Japan." So art museums around the world placed these textiles in their collections. Now however, I believe that we should separate petroleum-based fabrics and natural fabrics when making things. Otherwise, 10 or 20 or 30 years later, there is going to be a lot of unmanageable garbage. We definitely must prevent such a scenario. The period after 2003 has been what I call "a period of repentance." I regret the mistakes I made and am trying to remedy the situation. For example, with cloths that have been made from mixing polyester and paper, we are changing the paper into polyester so that all of it becomes 100% polyester. And at the companies where I am working as design adviser, we are taking measures that take the life cycle of fabrics into account. Of course, there are still some aspects that are imperfect, but I feel that one day, things will reach their ideal state. There are some things which cannot be done today but which could be done in the next 5 or 10 years when new technology is developed. In the last 15 years, the streets of Roppongi have changed so much. I'm sure the textile industry is also capable of transformation. The steps we're taking may be small steps, but I'm hoping that similar efforts will eventually spread and lead to a big flow of change. Born in Ibaraki Prefecture. 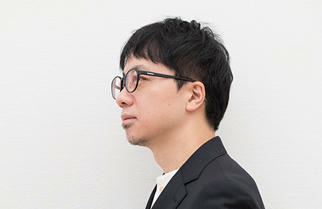 Worked as a textile research assistant at Musashino Art University's Department of Industrial, Interior and Craft Design before becoming a co-founder of textile company NUNO Corp. 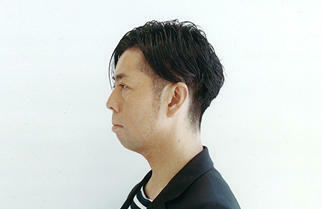 Currently Design Director of the company and professor at Tokyo Zokei University. Recipient of an honorary degree from Britain's University for the Creative Arts (UCA). Has been awarded prizes such as the Mainichi Design Award, the Roscoe Award and the JID (Japan Interior Designers Association) Award. Makes innovative textiles which incorporate traditional Japanese methods such as in dyeing with the latest technology. Her works have won high recognition at home and abroad, and have been chosen for permanent collections at 22 museums including the Museum of Modern Art, Metropolitan Museum of Art, Boston Museum of Fine Arts, Victoria & Albert Museum, and the Crafts Gallery of the Tokyo National Museum of Modern Art. Among her representative works are the textiles installed at Mandarin Oriental Tokyo, Tokyo American Club and Toraya Tokyo. 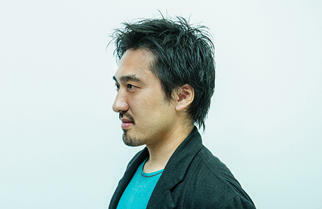 Has been involved in textile design and development at Ryohin Keikaku Co. and the Tsuruoka Textile Industrial Association in Yamagata since 2008 and at clothing manufacturer AS Corp. since 2009. Also gives advice on textile design and development to other companies and cooperatives. 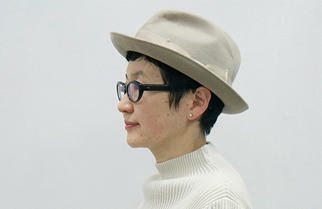 Has held "2121: The Textile Vision of Reiko Sudo and NUNO" in Britain and many other exhibitions worldwide.